Tebeka (Amharic for “Advocate of Justice”), is the legal aid organization serving Israel’s 140,000 member Ethiopian community. The organization was founded in 2000 by the first Ethiopian Israeli attorneys. As a supporter of Tebeka, you know that Tebeka’s staff, board members, and volunteers have been working to address and eliminate discrimination against the Ethiopian Israeli community for over 14 years. While the protests of the last two weeks were triggered by the unprovoked and unwarranted beating of an Ethiopian Israeli soldier by Israeli police officers, the magnitude of these protests is fueled by frustration over the many years of police violence and broader discrimination against the Ethiopian community. In this Jerusalem Post article, Tebeka’s Executive Director, Fentahun Assefa-Dawit, and other Ethiopian Israeli leaders discuss long-standing issues of discrimination, police violence, and mistrust. It is unfortunate that a number of protesters and police officers were injured during otherwise peaceful and legitimate protests. We wish the injured a fast and full recovery. Tebeka supports peaceful demonstrations for equal rights and is providing legal assistance and representation to community members arrested during the protests. Re-opening the case files of Ethiopian teens and young adults arrested for police assault to determine if these cases involved police discrimination and violence. 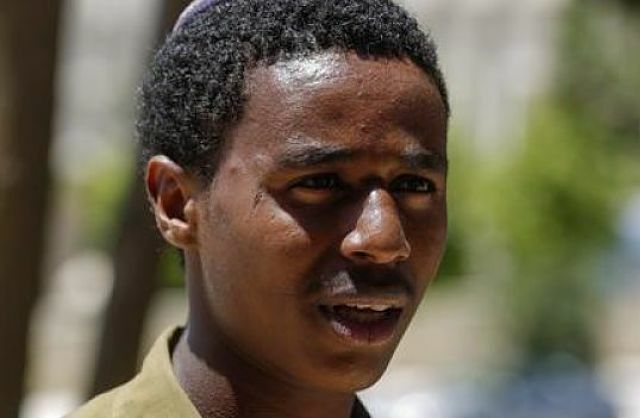 The Ethiopian-Israeli soldier who was beaten by police was subsequently charged with police assault, suggesting a more widespread use of this charge following police violence against Ethiopian Israelis. Incorporating education on diversity and discrimination into police force training and on-going professional development. Equipping police officers with body cameras. Introducing a culture of community engagement in the police force in order to create mutual trust and understanding between the police, Israeli public, and particularly the Ethiopian community. PM Netanyahu demanded from the Chief of Police an immediate improvement in police interaction with the Ethiopian community, prioritization of the task force described above, and an intermediate report on the progress of the task force within 30 days. Promised to establish an inter-ministerial commission headed by the Prime Minister to address the socio-economic disparities experienced by the Ethiopian Israeli community. He also agreed to allocate the necessary budget to address the issues identified by the commission. Personally take up the issue of racism against all groups in Israel during his term in office. Tebeka’s staff is currently working around the clock to respond to the urgent needs of protestors and victims of police violence, as well as policy meetings with Israeli officials. While media attention may soon shift to other topics, Tebeka commits to continue to address police violence and discrimination against the Ethiopian community until we bring an end to discrimination and inequality. Over the next year, Tebeka will be investigating prior cases in which Ethiopian Israelis were charged with police assault, as well as representing new and previously unknown victims of police violence. Tebeka will participate in policy meetings, task forces and commissions to address police violence and broader discrimination. Tebeka will also follow up regularly with the Chief of Police and Prime Minister to ensure implementation of the promises made this week. Tebeka’s long-term commitment to this work is only possibly thanks to the generous support of our donors. Please show your continued financial support (click here) for Tebeka’s work to ensure equality and justice for all Ethiopian Israelis. If you would like to make a very large gift, please contact Fentahun Assefa-Dawit at Fentahun@tebeka.org.il or +972-54-4713292 to discuss a strategic funding partnership. You can learn more about Tebeka at www.tebeka.org.il.